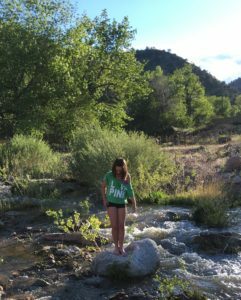 Are you looking for something unique for your child to do this summer? Our enriching African music and arts curriculum is that and more! When children study music and the arts, their reading, spelling, and math skills improve. Did you know that children who participate in a music group are 52 percent more likely to go on to college and graduate? It is true ~ and marimba is fun! Kutandara’s Summer Camp is a unique cross-cultural program that gives children an in-depth opportunity to explore a wide range of music, dance, and art from southern Africa in a day camp setting. Kids play by ear and build their musical confidence on all levels. If your kids are already doing music, this is the perfect match. 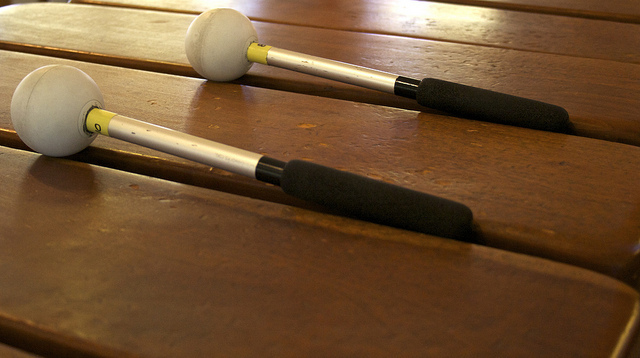 If your kids haven’t yet had success with conventional music – you’ll love this! No prior musical experience necessary. This camp is held in collaboration with Colorado Music Festival & Center for Musical Arts at their facility in Lafayette, Colorado. Register now! 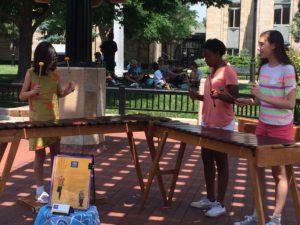 Our marimba busking day camp allows children to work in small groups to create cool marimba arrangements, and then earn their very own money performing on Pearl Street Mall. We meet at Ozo Coffee Company on Arapahoe Avenue, and then travel by bus to local city parks in the mornings and spend most afternoons on Pearl Street Mall together playing and earning tips…to spend on treats or take home and save. Kids learn performance, audience interaction, money management, and decision-making skills. Our staff members are experienced teachers and teen band members at Kutandara, and our camper to staff ratio never exceeds 4:1. 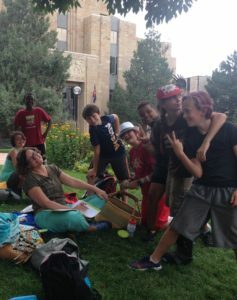 Amy Stewart McIntosh, camp director, has been teaching summer camps at Kutandara since 1999. Click here to register. Upon receipt of your 50% deposit, your space will be confirmed. Register with a friend and you can both enjoy a 15% discount! Your final 50% payment is due June 1, 2019. Camps with less than 6 students will be canceled May 15, 2019. Our mbira nature day camp gives children the opportunity to learn about the mbira ‘nyunga nyunga’ (sparkle sparkle) and mbira ‘nhare’ (telephone) in a fun, safe, outdoor setting. Children also participate in team building games, African storytelling, and lots of outdoor time together. We meet at Ozo Coffee Company on Arapahoe Avenue, and then travel by bus to local city parks in the mornings and spend afternoons hiking easy trails to beautiful vistas together. 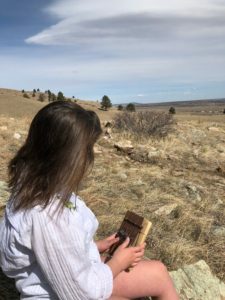 Kids learn mbira repertoire and context, the stories behind the songs, a love of nature, and teamwork. Our staff members are experienced teachers and teen band members at Kutandara, and our camper to staff ratio never exceeds 4:1. Randy McIntosh, camp director, has been a lover of hiking in the Colorado Front Range for over 30 years.